Will Ravel Morrison ever have another shot at the big stage? The story of Ravel Morrison is a very similar one to Robinho, both were players that absolutely amazed during their childhood, during the time that they spent performing in their respective youth academy teams but after being promoted to the main team, things quickly began to crumble. Ravel Morrison is not such a well-known figure as Robinho or as other youngsters but the English player has received from some of the most respected figures in the world of football including: Sir. Alex Ferguson and Gary Neville. “Ravel Morrison might be the saddest case. He possessed as much natural talent as any youngster we ever signed, but he kept getting into trouble. It was painful to sell him to West Ham in January 2012 because he could have been a fantastic player. But, over a period of several years, the problems off the pitch continued to escalate and so we had little option but to cut the cord.” This is what Sir. Alex Ferguson wrote on his 2nd book as he talked about naturally talented players who have had a tough childhood and it has affected their professional careers from kicking off in full force. At the age of 14, Ravel Morrisson admitted to criminal damage after having thrown his partner´s phone from her parent’s window and also intimidating a witness to a knifepoint robbery. The English youngster was also fined for bein involved in domestic violence or things of this nature. 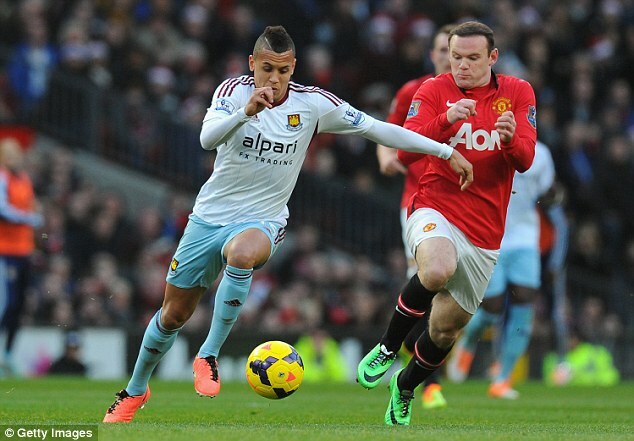 After so many problems that emerged around Ravel Morrison, he was eventually offloaded from Manchester United as Sir. Alex Ferguson lost faith in him. Morrisson has gone on to join various clubs including: West Ham United, Birmingham City, Queens Park Rangers, Cardiff City and his current club Lazio. Unfortunately for the 24 year old Englishman, he has mostly been spending his time on the sidelines as a substitute player as his future is not looking as bright as it used to be. Morrison went from being one of the most highly-praised youngsters to have made his way through the youth academy of Manchester United to being a substitute player in Lazio.